THE BODYGUARD, the award-winning musical based on the smash-hit film, returned to London this summer for a strictly limited season starring the Queen of British Soul BEVERLEY KNIGHT* as Rachel Marron and BEN RICHARDS (Hollyoaks, Footballer’s Wives, Grease, The Full Monty) as Frank Farmer. A ‘BRILLIANT!’ (The Times), breathtakingly romantic thriller, THE BODYGUARD features a whole host of Whitney Houston’s greatest hits including Queen of the Night, So Emotional, One Moment in Time, Saving All My Love, Run to You, I Have Nothing, Greatest Love Of All, Million Dollar Bill, I Wanna Dance With Somebody and one of the greatest hit songs of all time – I Will Always Love You. *Beverley Knight is not scheduled to perform at Monday evenings or midweek matinees. At these performances the role of Rachel Marron will be played by Carole Stennett. 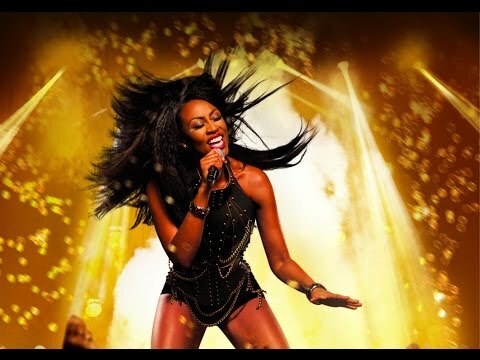 Beverley Knight is currently scheduled to appear at Tuesday to Friday evening performances and both performances on Saturday, subject to illness and holidays. In addition, Beverley Knight is not scheduled to appear on the following days: Friday 28 October; Tuesday 1, Saturday 12, Tuesday 15 and Tuesday 22 November; Saturday 17, Friday 30 and Saturday 31 December. **Ben Richards is not scheduled to appear on the following days: Thursday 24, Friday 25 and Saturday 26 November.